Another birthday! Happy Birthday, Tong, from everyone at IPPL. Tong has lived with me and John McGreal since 1974. She came to us as a two-year-old. So she's in her mid-40s! She had been purchased by a GI in Vietnam and taken to Bangkok. The GI left Vietnam and tried to take his pet gibbon with him, but was not allowed to board the plane. So he left her with his servants. They took care of her till they found a job with Ann Williams of the Australian Embassy in Bangkok who got to meet me. Ann swore eternal loyalty to Tong but then she got transferred to Rangoon, Burma and left her with me and John! Tong is still with us and shared her life with the late Brownie and now with Gibby, both white-handed gibbons. 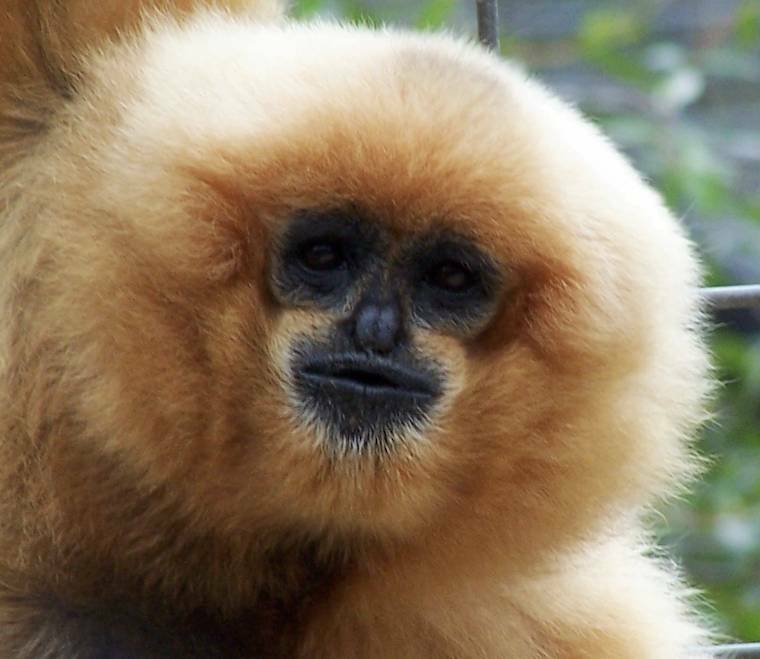 She belongs to the Vietnamese golden-cheeked gibbon family. She was born black, with white patches on her cheeks. At six years of age, golden hairs started to appear and soon her coat was all gold, with a black patch on her head. Male golden-cheeked gibbons stay jet black with a gold patch on their heads. Tong has a very different song from the white-handed gibbons, it ends with a bubbly trill. 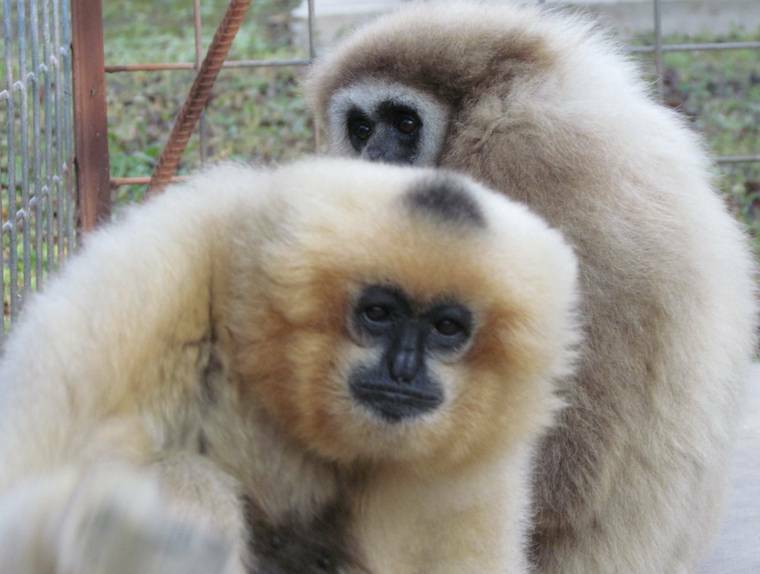 Tong with her companion, ex-research gibbon, Gibby, now nearly 60!